Semrock has named Prashant Prabhat, Ph.D., the new Business Line Leader for the newly formed Life Sciences Catalog Business Segment. 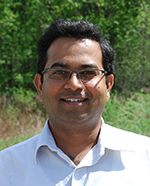 Prabhat and his team will focus on growing the very important catalog filter business that supports researchers in fluorescence microscopy and analytical instrumentation. The Semrock Catalog has been in print for 10 years and has expanded to offer a wide variety of high-performance bandpass filters, notch filters, mirrors, dichroics and filter sets designed for a wide range of fluorescence and non-fluorescence imaging applications, including LED light engines. All Semrock products are covered under their industry-leading 10-year warranty. All standard products are guaranteed in stock, along with rapid delivery of custom-sized products. The Semrock website also offers all up to date products and pricing, along with online quoting and ordering.